Leslie A. Muray is Professor of Philosophy and Religion at Curry College. We invited him to answer the question “What norms or values define excellent philosophy of religion? as part of our “Philosophers of Religion on Philosophy of Religion” series. When asked “What are the norms or values that define excellent philosophy of religion,” I think of Whitehead’s norms for judging the excellence of metaphysics. These are: 1. a worldview that is consistent; 2. coherent; and 3. and adequate to the facts of experience. In other words, it will present a comprehensive (but not totalizing) worldview in which “everything hangs together,” in which there are no contradictions. As far as “religion” in “philosophy of religion” is concerned, true to its etymological roots, the words imply a comprehensive vision of reality in which the parts are not swallowed up but affirmed, in which “the many become one, and are increased by one.” With this kind of emphasis in Western thought, it is easy to see why excellence in “philosophy of religion” has been described with words like “simplicity” and “elegance.” Both of these words, and others like them, are descriptive of philosophical excellence in rational argumentation and systematic thinking. Thus, if one reads a classic philosophical text from continental philosophy, one would read a meticulously translated, rigorously thought out argument, with positions rebutted and the rebuttal wrestled with and/or rejected. Each topic follows logically from the preceding topic. Whatever school of thought a philosopher belongs to, this is the pattern. They are inviting us into a neatly ordered word. The kind of philosopher I am thinking of may very well write the kind of rationalistic, scholarly philosophical tracts described above. But there is another kind of writing, sometimes by the same authors (Bergson, Berdyaev, Dewey) who write less specialized, more popular pieces. What they contribute to philosophy is no less important to the norms of excellence of philosophy of religion. A quick example is provided by Whitehead’s The Aims of Education. The three stages of education are romance, precision, and generalization. Precision and generalization are the sorts of philosophical norms we expect-but there is more: romance! There is an emotional tone to all learning, to all life! I think we have all read works, including by our favorite authors’ that are not well thought out, not well organized-yet they contain gems of insight that one can spend a lifetime looking for and not find. Although I think we can find this with virtually every thinker, I am thinking especially of Bergson and Berdyaev. For Bergson, intuition is the primary way we know things. It can be a motivating factor in other modes of knowledge. It may seem to give incomplete answers. Bergson’s works were condemned by the Roman Catholic Church for “irrationalism.” Berdyaev would get exasperated with people who chided him for his seeming lack of consistency and unremittent emphasis on intuition and creativity. Hartshorne has described his motto as being, “Be creative and foster creativity in others!” Thus, there are elements that go into the making of excellent philosophy of religion, even if seemingly underdeveloped: intuition, insight, creativity. Without these philosophy of any kind does not flourish. 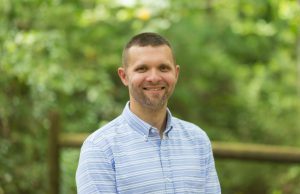 J. Aaron Simmons is Associate Professor of Philosophy at Furman University. We invited him to answer the question “What norms or values define excellent philosophy of religion?” as part of our “Philosophers of Religion on Philosophy of Religion” series. What norms or values define excellent philosophy of religion? I have described my own approach to philosophy of religion as “mashup philosophy of religion” because I think that there is virtue in drawing broadly on different philosophical traditions, religious perspectives, and disciplinary methodologies. Personally, I am deeply influenced by continental trajectories in philosophical inquiry, but I often resist the characterization of my work as “continental philosophy of religion” because such a description too often allows for fundamentally different (and largely opposed) norms to be operative in different types of philosophy of religion. Rather than understanding these different approaches as metaphorical streams all feeding into a larger river, what one too often finds are seemingly different bodies of water altogether and each claiming to be the best, or only, river in the watershed. I find this to be unfortunate and amounts to a missed opportunity for robust engagement with others who think about similar questions from different perspectives. That we might come down differently from our interlocutors does not necessarily mean that we are engaging in a different sort of philosophy (though that might be the case), but that we disagree about where the arguments lead us as philosophers. Despite my deep commitment to such pluralistic “mashup” work, I do think that philosophy of religion must remain self-consciously philosophical, as opposed to claiming theological authority, on the one hand, or attempting simply to provide poetic inspiration, on the other hand. As far as I am concerned, far too much of contemporary analytic philosophy of religion slides too easily into confessional theology, and far too much of contemporary continental philosophy of religion becomes not much more than imaginative creative writing. Although there is significant value in both theology and also in creative writing, neither should be understood as easily interchangeable with philosophy of religion. Without question, philosophy of religion should be in conversation with a variety of texts (those that claim revealed authority within a particular community as well as those that aim to inspire particular forms of life are both quite valid resources), but philosophy, whether understood as a way of life or as a professional discourse, should be devoted ultimately to offering sound arguments supported by evidence. Such evidence should be, in principle, available to all members of the philosophical community in order for that community to have appropriately functional (even if porous and contingent) boundaries. 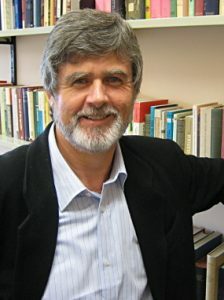 So, whereas “analytic” theology, say, sometimes seems problematically to limit the community to whom it is speaking to those philosophers already agreed about basic matters of religious existence, “radical” continental theology sometimes seems equally problematically to replace argumentation with rhetorical flourish. Warning against such tendencies, however, should not amount to a radical rejection of the discourses in which they occur. Hopefully philosophy of religion can appropriate what is right about both theology and also poetics without forgetting its own historical identity as philosophy. Namely, like theology and poetic writing, philosophy of religion should be personally compelling by speaking to where we find ourselves as finite beings trying to find meaning in a complex world. Theology impressively fosters personal investment, for example, by cultivating a profound sense of humility in relation that which is variously termed “the transcendent,” “the divine,” or “God.” As such, our lived existence is perhaps at stake in theology in a way that is not often true for philosophy of religion due to its frequent attempt to be detached, objective, or neutral. Rather than reminding us of our humanity, such objectivist gestures can sometimes serve to separate us as inquirers from ourselves as existing individuals. Alternatively, creative poetic writing fosters existential awareness, perhaps, by reminding us that existence is never reducible to the conclusion of an argument regarding the content of the good life. Excellent philosophy of religion understands that arguments matter, but always remembers that such arguments always only matter for someone, somewhere, and for some reason. Like poets and theologians, philosophers are people too! Theology and poetry, thus, both give concrete expression to the idea that we are beings made for more than symbolic logic-but this very point is something for which philosophers can provide very good arguments. Borrowing slightly from Heidegger, we might say while poetics realizes that we should sing and dance before God, theology understands that it is probably a good idea not just to sing and dance before anything whatsoever. Accordingly, philosophers of religion should care about holding true beliefs about traditionally religious concepts, but also about taking seriously the lived human condition that serves as the existential context in which philosophers find themselves seeking such truth. So, as a matter of professional identity, how can excellent philosophy of religion strike this balance of being appropriately personal without being narrowly confessional, on the one hand, while being existentially vibrant without abandoning argumentative rigor, on the other hand? Asked slightly more phenomenologically, how can philosophy of religion be “objective” enough to remain a proper academic discipline while also being “subjective” enough to speak to the all-too-human search for meaning, value, and truth? Or, asked as a question about academic disciplines, how can philosophy of religion remain a thoroughly humanistic discourse while also being able to speak with and to the social and natural sciences? As just a first step toward thinking through these questions, let me recommend two concrete practices in particular that I think are likely to help philosophy of religion to strike such complicated balancing acts. First, in order to maintain the “objective” traits that ought to characterize academic discourse, broadly construed, philosophy of religion should more self-consciously appreciate the diversity of global religious traditions by drawing deeply on the work done in the academic study of religion. Attending to such work helps to overcome the temptation to think that religion is exclusively, or even primarily, a matter of correct belief. Moreover, by looking to the historical practices of those cultural movements categorized as “religious,” philosophers can overcome the suspicion that philosophy of religion is just disguised theology by becoming a critical conversation partner with the social sciences. Learning from sociology of religion, history of religion, and comparative religious studies, for example, philosophy of religion can remain committed to argumentation as its primary mode of humanistic engagement, but now with a much more expanded social data set from which such arguments might proceed. Second, the “subjective” aspects of philosophy of religion can be helpfully reinforced when philosophers attend more openly to the conceptual difficulties of the category of “religion” itself. Personal investment is philosophy of religion can be productively invited when individuals see themselves at stake in the arguments being offered. To that end, there is a lot for philosophers of religion to learn from those working in critical theories of religion. The basic terms of our discourse, ‘God’, ‘divine,’ ‘faith’, ‘salvation’, etc., are themselves products of very particular social histories in which our own identities are formed, shaped, and constantly renegotiated. Far from placing the category of “religion” at arm’s length from our lives, philosophy of religion should engage what we call “religion” as an historical phenomenon that invites our intimacy, trust, and investment. In this way, philosophy of religion can, itself, serve as something of a corrective to the objectivist tendencies that so often characterize the academy as defined by STEM priorities. Philosophy of religion should not seek to eliminate theology or poetics. Similarly, philosophy of religion should engage the sciences without abandoning its own identity and humanistic values. Ultimately, philosophy of religion maximally displays an excellence all its own when it navigates the space between these different areas of human expression without simply becoming merely a subsidiary of any of them. Gregory Dawes is Professor of Philosophy and Religion at University of Otago in New Zealand. We invited him to answer the question “What norms or values define excellent philosophy of religion?” as part of our “Philosophers of Religion on Philosophy of Religion” series. What norms or values characterize top-rate philosophy of religion? The most important norm with which such philosophy ought to comply is that of being wissenschaftlich, ‘scientific’ in the broad sense of that German term. I do not mean that the philosophy of religion should follow some scientific method. Philosophy may well be, as Quine thought, continuous with the sciences. But it does not seem to have a distinctive method, or set of methods, as the sciences have distinctive methods. There is no procedure, no algorithm, that would allow one to formulate and test a philosophical claim. There are, of course, styles of argument and discussion in philosophy. But these are both diverse and contested. Think, for example, of the very different styles employed in what are (misleadingly) called the ‘analytic’ and ‘continental’ traditions. Analytic philosophers do not normally do philosophy by writing novels or plays, as did Jean-Paul Sartre, and are inclined to find a ‘literary’ style of philosophy irritating. Even if Jacques Derrida’s conclusions resemble those of Quine, or Davidson, or Kripke’s Wittgenstein, many analytic philosophers believe he is not doing philosophy ‘in the right way’. But if we abstain from such judgements and accept that all these people are philosophers, it looks as though there is no philosophical method, or agreed set of methods. So I am not claiming that the philosophy of religion ought to be scientific in this sense. What I am claiming is that it ought to be scientific in the sense of being both detached from and critical of its object of study. Its object of study is, of course, religion. Definitions of religion are as diverse as are methods in philosophy. But a distinctive characteristic of religions is that they hold certain practices, beliefs, persons, or institutions to be sacred. To be sacred is to have a normative significance that arises from an other-than-human origin. If religions regard certain practices, beliefs, persons, or institutions as action-guiding, it is not because of any arguments that can be offered in their support. It is because devotees regard them as revealed by the gods, or willed by the ancestors, or arising from an individual’s contact with a non-natural realm, one inaccessible to everyday methods of perception. The philosophy of religion, however, cannot regard any beliefs as sacred, in this sense. Our object of study will certainly be beliefs that are considered sacred by various communities. But philosophers must renounce the religious claim to an other-than-human source of knowledge. As even medieval thinkers recognized, the task of philosophy is to study ‘natural things naturally’ and the philosophy of religion must regard religion as yet another natural phenomenon. This does not mean we must regard religious beliefs as false. After all, the sciences are also natural phenomena, and yet most of us would regard at least some scientific claims as worthy of belief. And even if prophets and shamans mistakenly believe themselves to be inspired by God or in contact with a supernatural realm, they could still be delivering messages that are true. The human mind operates in ways of which we are often unaware and can arrive at insights that appear to come from without. (The moments of ‘inspiration’ enjoyed by poets, musicians, and yes, even scientists, can be of this kind.) But if we believe what the prophet or shaman tells us, it is not because of his claim to divine inspiration. It is because his words have survived testing by methods we know to be independently reliable. They have proven themselves to be worthy of belief in ways that are independent of their claimed origin. One might think that all this should go without saying. In all other areas of knowledge a broadly ‘naturalistic’ stance of this kind is simply taken for granted. Scientists may experience moments of what feels like inspiration, but they recognize that their insights must then be proven, in ways that are accessible to all competent observers. Why it is necessary to say this when it comes to religion? It is necessary because the philosophy of religion continues to fall short of this norm. Its all-but-exclusive focus on Christian theism betrays a widespread assumption that if there is any truth to be found in religion, it will be found within this particular form of religion. While this assumption could, of course, be true – Christianity may be the only form of religion worth taking seriously – it remains an assumption. It is rarely supported by evidence or argument. My suggestion is that it is not, in fact, based on evidence or argument, but on the religious commitments of those philosophers who have shaped, and continue to dominate, the field. Worse still, a recent trend within the field is to try to make the religious claim to an other-than-human source of knowledge philosophically respectable. The ‘Reformed Epistemology’ of Alvin Plantinga is the most striking example. If it were taken seriously (and there is, to my mind, no reason to do so), it would allow Christian philosophers to claim they are in possession of knowledge that comes from God, by way of what John Calvin called ‘the internal testimony of the Holy Spirit’. This is indeed what many Christians believe. They ‘know’ (that is to say, believe they know) certain propositions to be true because God has told them they are true. Such a claim can certainly be the object of philosophical scrutiny, which would quickly show it to be question-begging or vacuous. But it can never be the basis of a philosophical argument. Until such claims are renounced, the philosophy of religion will never be truly wissenschaftlich. It will continue to be a quasi-religious exercise that non-believers will feel little need to engage with. To be truly wissenschaftlich will mean regarding all religious claims as worthy of study. As a philosopher of religion I should regard no form of religiosity as alien to me. I should regard the Yoruba religion of West Africa as worthy of study no less than Christianity or Islam. But (as Benjamin Jowett wrote about the Bible), I will assess them all by ‘the same rules of evidence and the same canons of criticism’, rejecting any claim they make to be of an other-than-human origin. 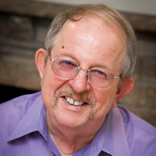 David Schrader taught philosophy of religion for thirty-one years at Loras College (Dubuque, IA), Austin College (Sherman, TX), and Washington and Jefferson College (Washington, PA). 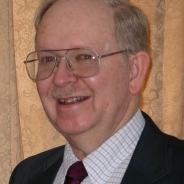 He also served as Executive Director of the American Philosophical Association from 2006-2012. We invited him to answer the question “What norms or values define excellent philosophy of religion?” as part of our “Philosophers of Religion on Philosophy of Religion” series. To answer the question of what norms or values define excellent philosophy of religion requires that we initially understand what kind of discipline philosophy of religion is. It is not theology, not even philosophical theology. It is a philosophical discipline. Moreover, it is a “philosophy of …” discipline. This means that the first virtue of philosophy of religion is that it be scrupulously attentive and honest in its attention to actual religion. There was a time not that long ago when much of philosophy of science was practiced as a kind of idealized epistemology, with little attention to the actual practice of science. While there is much to criticize in the work of Thomas Kuhn, philosophers of science owe him a great debt for pushing them to take seriously the history and actual practice of science, even as they may need to do it much more carefully than Kuhn himself did. There are similar stories to be told about philosophy of language, philosophy of art, and a number of other “philosophy of …” disciplines. The above reflections lead me to identify two norms that are essential to excellent philosophy of religion. First, the philosopher of religion must start with a view of the point of religion, and as a corollary, the “problem situations” to which theologies are productively addressed. Second, the philosopher of religion must have a relatively broad understanding of the phenomenon of religion. It is not sufficient to do technically sophisticated analyses of isolated doctrinal statements. On the first point, religions historically have been about at least two different sets of concerns. On the one hand, some historical religious traditions have been centrally concerned to either control or explain natural phenomena. On the other hand, some religious traditions have been centrally concerned to understand moral phenomena. For a number of reasons, not the least of which I’m sure is my immersion in the Lutheran Christian tradition, I believe that the latter, but not the former set of concerns provides a conception of religion that is sustainable in the contemporary world. For myself, if I saw religious belief only as an attempt to explain why there is anything rather than nothing, or why there is intelligent life in the universe, I would almost certainly find no place for religion in my life. I fear, however, that contemporary philosophers of religion too often accept this understanding of religion without even considering that it might not be the only way of viewing religion. The second view of religion, however, is surely not without its advocates. On Luther’s view, for example, “[t]heology is … concerned neither with an objective doctrine of God nor with an anthropology that asks questions about man other than those involving his relationship to God. Both sides of this relationship are determined by the fact that man is a guilty and lost sinner and that God is the justifier and the redeemer of precisely this kind of man.”3 This essentially moral understanding of the point of religion is largely affirmed in the philosophy of religion of Kant. More recently, it has been elaborated in a pair of books by Ronald M. Green: Religious Reason: The Rational and Moral Basis of Religious Belief (New York: Oxford University Press, 1978) and Religion and Moral Reason: A New Method for Comparative Study (New York: Oxford University Press, 1988). Whether I am right or wrong in my commitment to this latter view, I believe that work in philosophy of religion cannot be excellent without attending to this issue of the point of religion. On my second and final point, philosophy of religion will fail to be excellent to the extent that philosophers of religion take their own expressions of religion to tell the whole story of religion. I remember a number of years ago at a Society for Philosophy of Religion meeting, when a presenter, who clearly came from an Anglo-American evangelical protestant tradition, responded to a traditionally Aristotelian Catholic understanding of the religious implications of Darwinian evolution with the claim that it was “ad hoc,” failing to understand that it was much more “traditionally” Christian than his own view. My own understanding of my Christian belief has been importantly shaped by my study of the understanding of language of the Buddhist scholar, Nagarjuna (ca.150 – ca.250 C.E. ), an understanding not altogether unlike William James’s understanding of language. Again, it seems to me that too many contemporary philosophers of religion accept uncritically a kind of Augustinian understanding of language that facilitates technically sophisticated analyses of isolated doctrinal statements but leaves little room for mystery in faith and has little contact with lived religion. If we really believe that our language is capable of giving an accurate representation of God, then it seems to me that we are guilty of a form of conceptual idolatry, worshiping something of our own intellectual construction, something far lesser than God. I conclude by looking back to my 15-year old self. In my Lutheran confirmation classes we learned that we Lutherans believed the doctrine of consubstantiation, by contrast with our Catholic friends who believed the doctrine of transubstantiation and our Reformed friends who believed that the Eucharist was a merely symbolic ritual. Of course I didn’t understand what any of those terms meant. I started to gain some understanding of them only when I first studied Aristotle’s metaphysics in college. Now, should we say that meant that I didn’t really believe those things? I doubt it. The Lutheran doctrine of consubstantiation, even though I didn’t “understand” it, clearly underlay important aspects of my religious practice. Whether I am right or wrong in this latter claim, it seems to me that philosophy of religion cannot be excellent without at least considering the issue.